With the increase in the use of Social Media, there is an increase in the online activity that is used to harm children and the people that in some sort of unstable mental state. These games are designed to extract information and, in this process, users who are playing these games are harmed both physically and mentally. 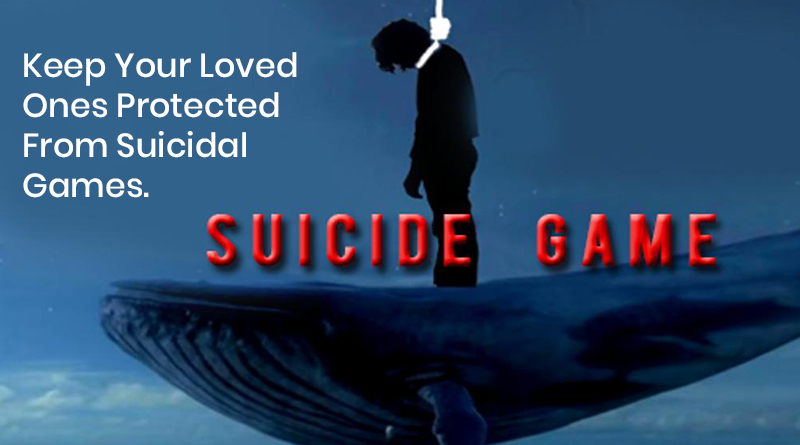 Blue Whale game is a perfect example of this type of game which is specifically designed to harm young children. Once the game starts the hackers make it more difficult for the young ones to get out of it. They intimidate and sometimes offers rewards in order to continue playing these games. These games are created by hackers whose main purpose to harvest information and cause harm to others. They create the games which have only two purposes i.e. to harm innocent people and to extract information that is used to cause harm. How Do Children Start To Play These Games? Victims are contacted on social media instructing them to contact on a specific number. Once the victim contacts on the number the hackers will then give a dare to the victim and in the first dare the victims have to provide their personal information. Once the hackers get the personal information, they force the children to perform other tasks, failed to do so they threaten to release the personal information to the public. This eventually leads to the last dare which often results in suicide. 1. Kids become very secretive, they will not talk about their online activity with anyone. 2. They spend more and more time on social media and the internet. 3. They will hide the content on the screen by switching screens someone approaches. 4. They will behave differently after spending time online, they often show anger and will not talk to anyone. 5. They have unknown contacts and email addresses on their devices. 1. Keep track of social media usage: Parents can keep track of the social media usage of their loved ones. What pages they are visiting, with whom they are friends, what type of social websites they are using. 2. Change in behavior: Slight change in the behavior of the children means that something is wrong with them. 3. Limit the time of usage of the internet: There should be a time limit of internet usage. Children should not be allowed to access the internet for the whole day. There should be a time limit on how much the internet is accessible to the children. 4. Use parental control settings on their kids’ devices. 5. Young kids should also be self-aware about such thing and should be taught to not let anyone control their lives. Every day new games like Blue Whale are being released, and these games are compelling the young kids to perform tasks that will harm them. Another game that is making headlines is Momo WhatsApp challenge which is taking precious life of the young kids. This game takes 50 days to complete which ultimately leads to committing suicide. The main fact of this game is a picture of a creepy girl which popups in between the game, this picture is created by the Japanese artist who has no connection with Momo game. These type to suicidal games is posing a great threat to the lives of young kids and these games give the opportunity to the hackers to steal the information of the users. Different organizations are warning parents about these types of games. However, with the constantly evolving state of the online world, it is a bit difficult to keep track of such things. Games like Blue Whale and Momo should be banned and people should be aware of these types of activity. Hackers around the world are creating these games that now only harm the users but also steal the information and use it to perform malicious activity.